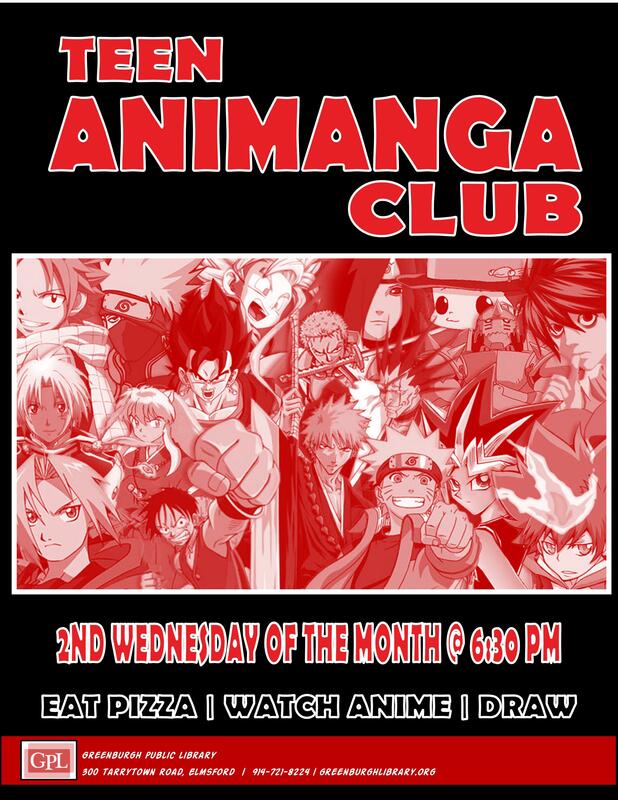 Be between the ages of 12 and 19. Complete and submit the online GPL Volunteer Application form linked here. Attend a Teen Volunteer Orientation. Orientation dates are listed on the library's Online Events Calendar linked here. 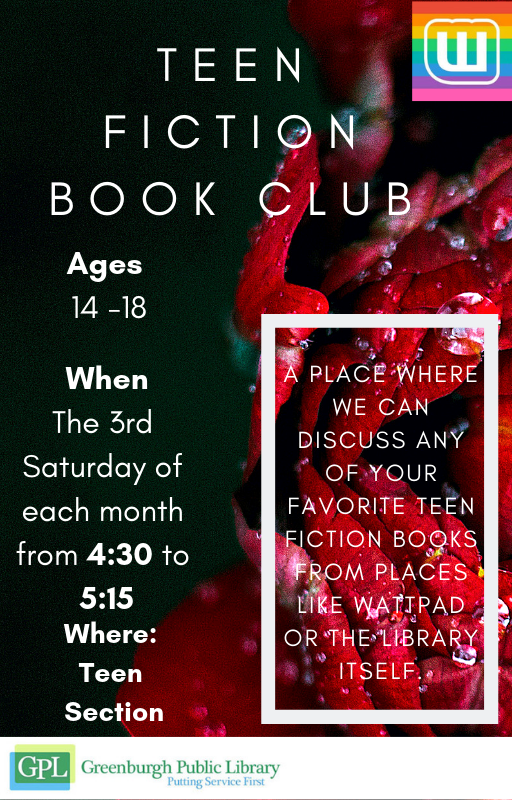 Once you attend a volunteer orientation the Teen Services Librarian will create and email you your schedule based on your availability and interests. 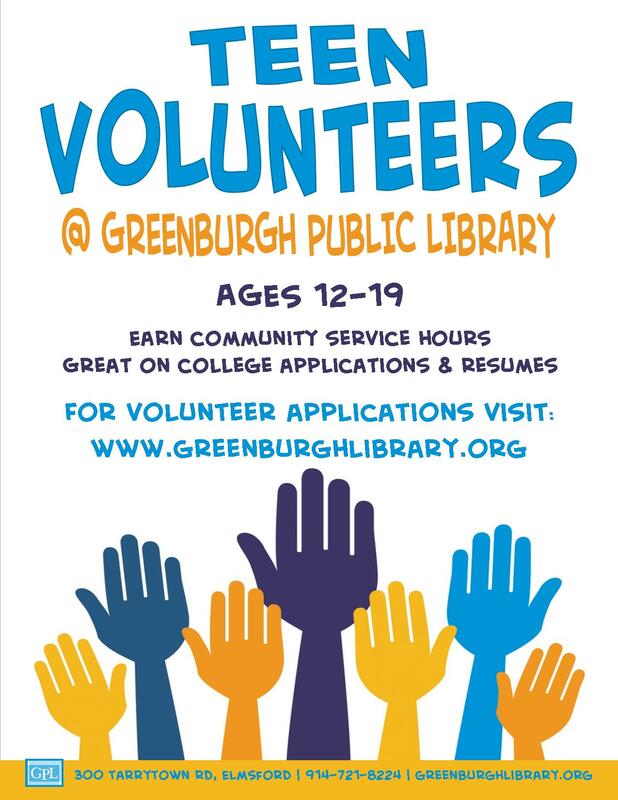 If you have volunteered at GPL before, already attended an Orientation, or have questions please email eanastasi@greenburghlibrary.org. 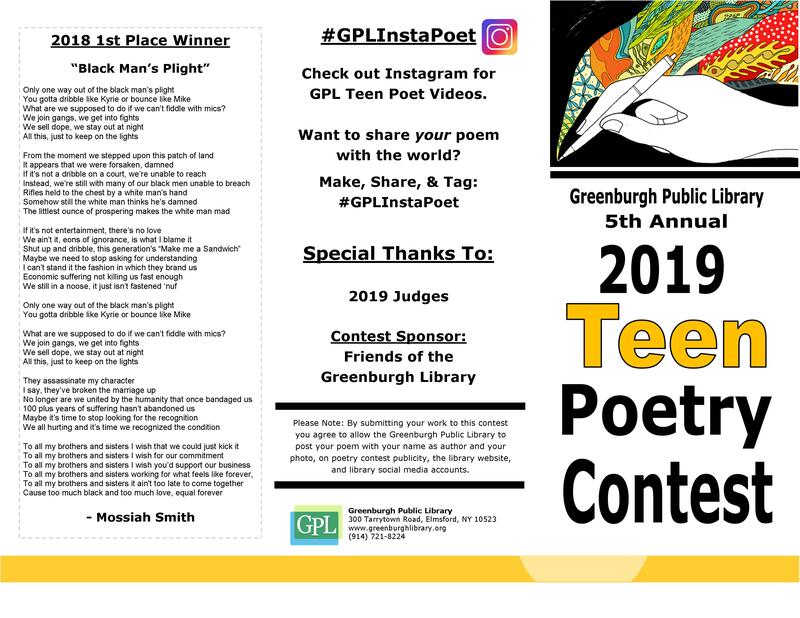 A VolunTeen must be between the ages of 12 and 19 to apply, qualify, and gain community service hours as a volunteer at GPL . 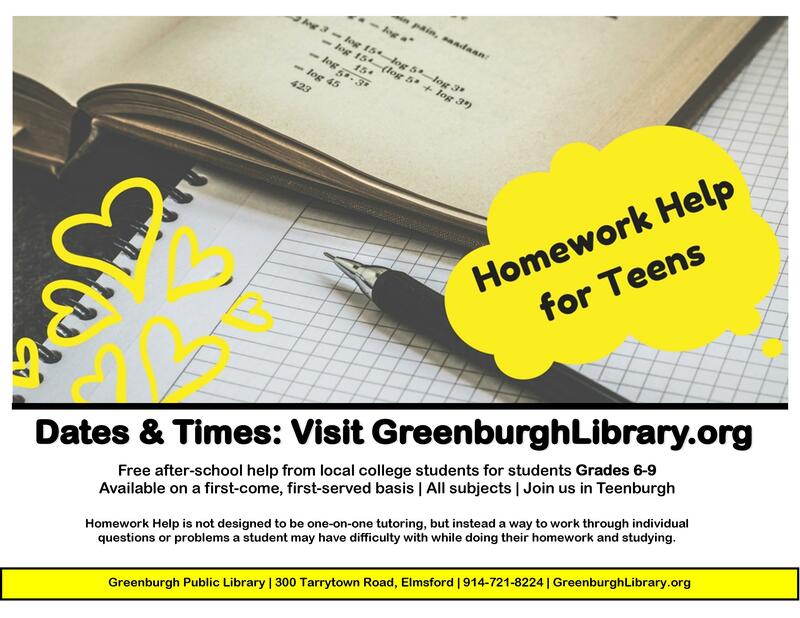 They must also complete the Teen Volunteer Application @ GreenburghLibrary.org. In case of sickness or an emergency a VolunTeen must contact or leave a message with Library staff if they were expected in and can’t make it. 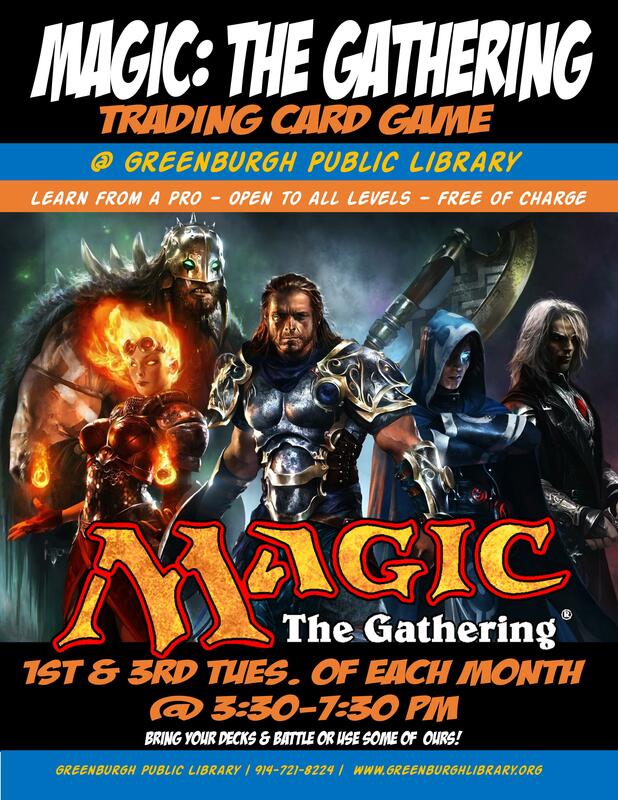 Phone: 914-721-8224, or email eanastasi@greenburghlibrary.org. All communication about volunteering at GPL will be conducted through email so be sure to check your email frequently for updates, volunteer hour opportunities, and shift assignments! If you change your email let us know. Being late for volunteer hours is not acceptable. Being a VolunTeen means people are depending on you whether you are assisting running events at the library, organizing, or completing projects. Be here on time or call ahead if you anticipate being late, are unable to attend, or in case of emergency. 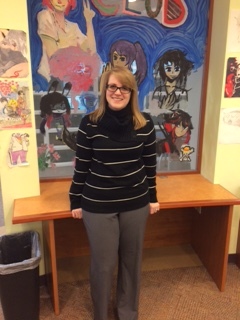 Please dress appropriately for a public library. Shorts are okay but please do not wear swimsuits, bare bellies, bare feet, hats, or anything that would be inappropriate for school. The library has a fluctuating temperatures so you may want to bring extra layers of clothing in case of extreme temperature differences. Volunteering at GPL is scheduled in advance only, no drop-in volunteering please. A VolunTeen may have a range of responsibilities and tasks that he or she will be assigned that may include: helping with events (advance preparation, set up, breaking down etc. 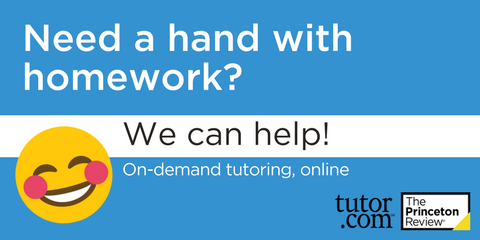 ), edging books, shelf reading, and more. A VolunTeen is not responsible for helping patrons find books, answering reference questions, or doing clerical or page duties done by paid staff. A Volunteen is responsible for keeping track of all service hours and dates completed on the designated “VolunTeen Time Clock” Computer. When a volunteer completes their required hours it is the responsibility of the volunteer to inform the Volunteer Supervisor whether they are finished volunteering or want to continue. VolunTeens must wear GPL Volunteer Badges at all times when volunteering at or for the library. Please no use of cell phones (even texting), MP3 players, tablets, or other personal or electronic devices, headphones, or earbuds, during volunteering unless you ask and are given permission in advance. Proof of service forms and letters must be requested by the volunteer, to their supervisor, well in advance of the due date. Forms can be completed, letters written, and certificates issued as proof of service if a VolunTeen needs one for school/honor society/religious group, etc. Also try local non-profit organizations and businesses.